England has had a long and tortured history as she related to the European continent – always asking the question: should we become involved or not? We can see it after World War II and the developing Common Market, and of course with the recent Brexit vote. The dark days during the spring of 1940 when the Nazis rolled over France and the Low countries presented the problem anew, but this time after sitting back in the late 1930s allowing Hitler carte blanche it decided to support a “community of nations” as London was made available as a sanctuary for governments overrun by the Nazis. 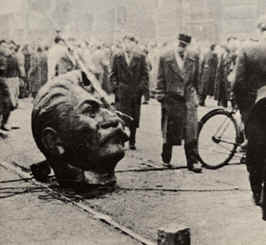 London would become the home for the exiled governments of Poland, Norway, France, Belgium, Holland, and Czechoslovakia. These governments would band together with England to defeat Nazism and lay the basis for European cooperation after the war. One of Olson’s major themes rests with the exile communities. She affirms without the exiles work as pilots, mathematicians, intelligence operators, scientists, physicists, and soldiers who knows how the war might have turned out. Today, with the European Union under attack on the continent by certain right wing parties it is useful to explore Lynne Olson’s latest work dealing with World War II entitled, LAST HOPE ISLAND: BRITAIN, OCCUPIED EUROPE AND THE BROTHERHOOD THAT HELPED TURN THE TIDE OF WAR. Olson covers a great deal of material in her book, much is new, but some of it has appeared in past books. For example, the chapter dealing with the Battle of Britain and the London Blitz has a similar narrative that appears in A QUESTION OF HONOR: THE KOSCIUSZKO SQUADRON: THE FORGOTTEN HEROES OF WORLD WAR II as she writes about Squadron 303 made up of Polish airmen who accomplished remarkable things at a time of England’s greatest need. Other examples can be found in TROUBLESOME YOUNG MEN: THE REBELS WHO BROUGHT CHURCHILL TO POWER AND HELPED SAVE ENGLAND and CITIZENS OF LONDON: THE AMERICANS WHO STOOD WITH BRITAIN IN ITS DARKEST, FINEST HOUR. The integration of past research enhances her current effort particularly when she writes about the early part of the war. To her credit she has an amazing knowledge of the leading secondary works and historians dealing with her topic which just enhances the narrative. The author breaks the narrative into two separate parts. The first being the prewar period through the end of 1941 as the Germans rolled through France and the Low countries and we find a number of governments in exile stationed in London. 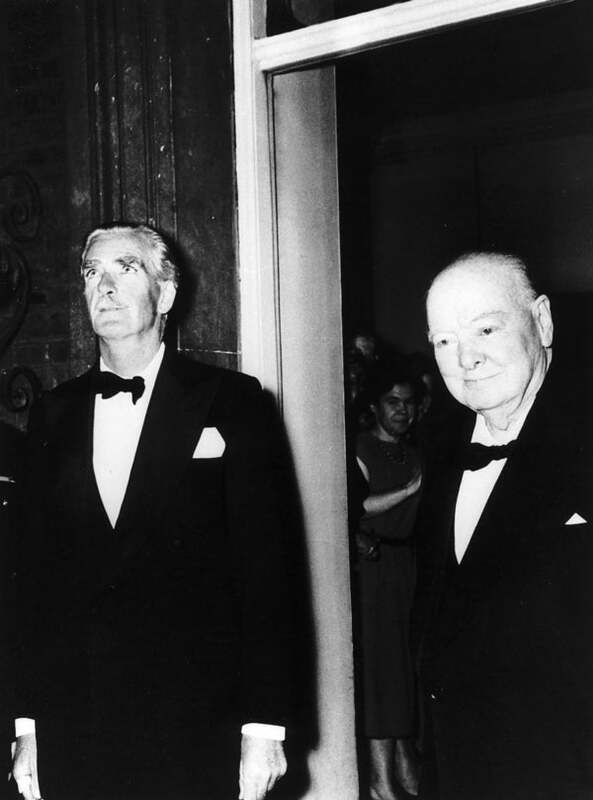 In that section of the book Olson successfully narrates the relationship of these governments in exile first with the Chamberlain government, then that of Churchill. 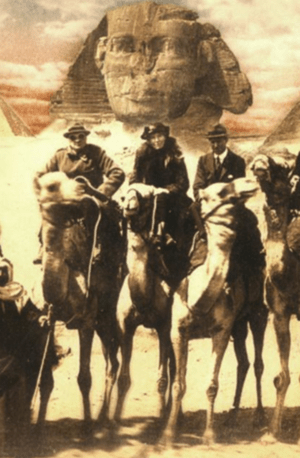 She explores the important personalities that include King Haakon of Norway, Queen Wilhelmina of Holland, Charles de Gaulle of the Free French, and Edvard Benes of Czechoslovakia. 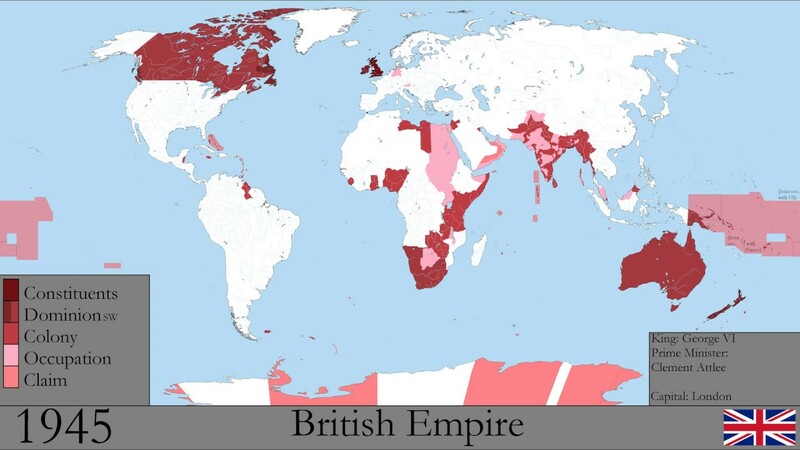 The problems of each are explained as well as how the British responded to their needs. Olson accurately points out the humiliation and frustration experienced by Benes who was forced not to fight during the Munich conference, then was pilloried for not fighting when Hitler seized Czechoslovakia in March, 1939. Further she explores the difficult relationship between the British and the French particularly during the evacuation from Dunkirk, as well as with de Gaulle once France fell. 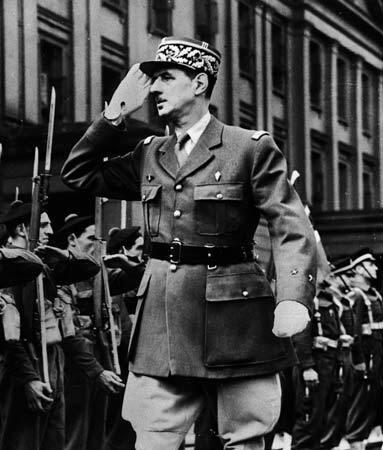 For the British de Gaulle could be described as the self-appointed French leader who exhibited “extreme weakness that required extreme intransigence.” King Haakon and Queen Wilhelmina got along much better with the British as each had merchant marine fleets that English needed, as well as natural resources. Olson points out the complexity of the relationship with the Polish government in exile. Of all these governments it was the Poles who fought, wanted to continue to fight, and developed the Home Army to do so. They made tremendous contributions as pilots, intelligence sources, and creating a resistance against Nazi Germany. Olson does a commendable job explaining the incompetence of the British and French military leadership who instead of accepting responsibility for events that led to Dunkirk used Belgium as their scapegoat for their own failures and defeat. Showering King Leopold as a “Quisling” was blasphemy for the king whose army fought as well as possible based on the resources at his command, and further, refused to surrender to the Germans. 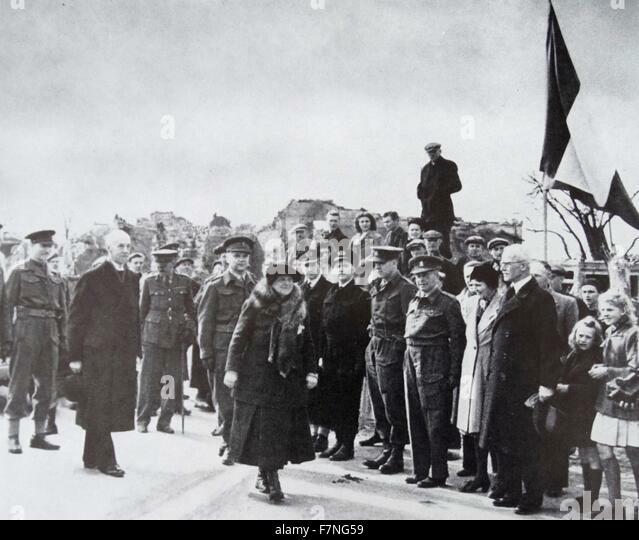 Olson also argues that the myth that the French just gave up was unfair based on the lack of support the British provided as the Germans goose-stepped into Paris. The importance of the BBC is given its own chapter which is important because the radio broadcasts had an important role to play. 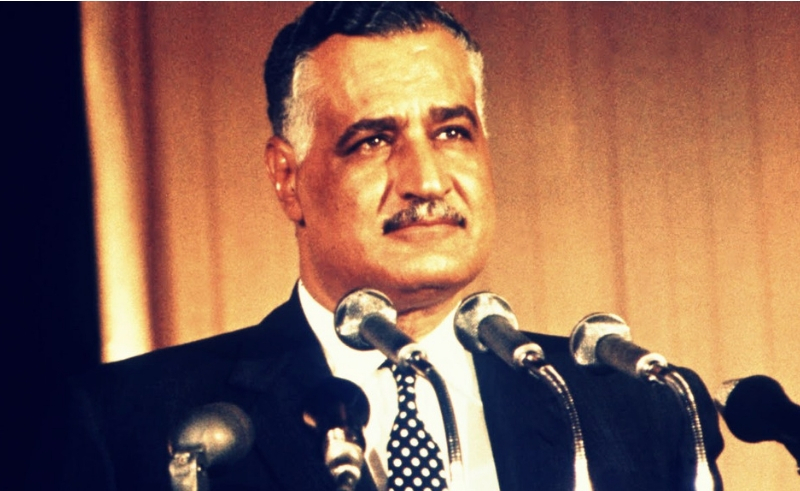 First, it allowed exiled leaders the opportunity to broadcast their own message to their people. Second, it provided the various resistance movements accurate information as to the course of the war. Third, they broadcasted in over forty languages. 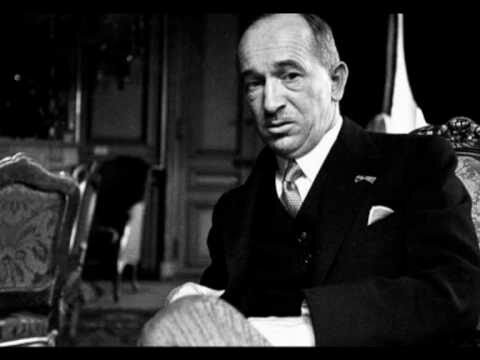 Lastly, it gave hope to demoralized population, particularly in France as they told the truth. 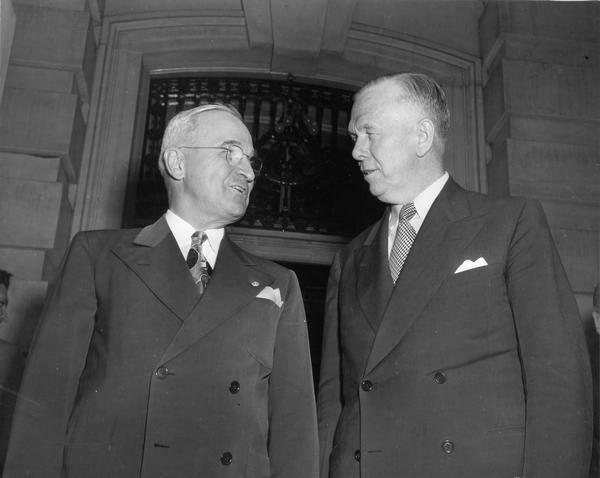 By December 1941 the governments in exile came to the realization that with the entrance of the United States and the Soviet Union the entire diplomatic formula was dramatically altered. With the Americans and Russians now in the war, their early closeness with Great Britain was about to give way to power politics, and perhaps a European Union might be in the offering. From this point on Olson’s focus begins to change. Olson spends a great deal of time taking apart the reputations of British MI6 and their Special Operations Executive. She delves into the lack of competence exhibited by MI6 head Stewart Menzies and his battle with SOE leadership whose task was to foment sabotage, subversion and resistance in Europe. In chapters dealing with Holland and France, Olson points out the errors that SOE leaders engaged in including a lack of security and simplistic coding, and foolish field decisions involving their agents. London’s poor decision making would prove disastrous for Dutch agents who were easily rounded up by the Germans as they parachuted into Holland. Olson is meticulous as she undermines the myth of the excellence of British secret services and the negative impact on events in Holland and France. 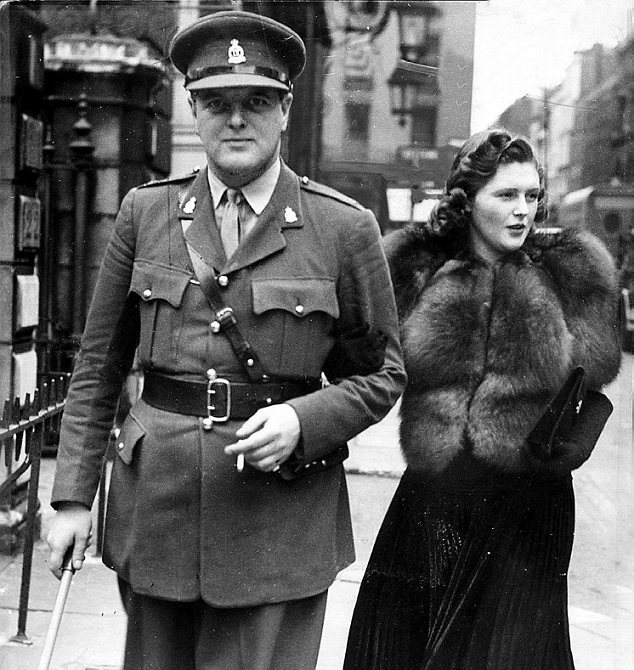 Two men stand out in her narrative, Leo Marks and Frances Cammaerts who were “passionate, skeptical, and [possessed] fiercely independent traits unappreciated by the SOE brass.” The problem was this weak intelligence infrastructure created issues for the French resistance that was to play a major role in D Day planning and the early stages of the invasion as many suffered horrendous death at the hands of the SS. Further complicating things was the split between the French resistance and de Gaulle, and the British and de Gaulle. In both cases endangering the overall invasion. Olson is at her best when she integrates stories about certain figures who seem to be on the periphery of the main narrative, but are involved in important actions. For example Andree de Vongh, an independent woman who decided to ignore SOE objections and developed the “Comet Line” an escape route for British airmen and paratroopers that began in Brussels, snaked its way through France, and crossed the Pyrenees into Spain. She organized safe houses along the route and when MI9 refused to give her funds she raised them on her own. She personally escorted 118 servicemen to freedom out of 7000 total for all networks during the war. If reading about de Vongh is not interesting enough, Audrey Kathleen Ruston, a thirteen year old aspiring dancer and Dutch resistance member emerges, a.k.a Audrey Hepburn. When evaluating the Dutch contribution Olson correctly takes General Bernard Montgomery to task. Montgomery had a large sense of self, arrogant and stubborn as he refused to take into account Dutch intelligence concerning the retaking of the port of Antwerp. Rather than securing the Scheldt River estuary before moving on to Operation Market Basket, Montgomery had his eye on racing to Berlin before the Americans or Russians arrived. As a result the Germans lay in wait, and Arnhem would become a trap leading to a fiasco which Montgomery’s over-sized ego caused.. “As a result, many more people would die, soldiers, and civilians alike. For the Netherlands, the consequences would be dire” as the Allies controlled southern Holland, but the Nazis the northern cities and they took out their retribution on the populations of Rotterdam, Amsterdam, the Hague, Utrecht, and others. The latter part of the book evolves into a narrative of the last year of the war. Olson covers the salient facts and personalities as she tries to maintain to her “exile” theme. If one were to pick which character she was most impressed with it would be Queen Wilhelmina and the Dutch people. Olson points out the errors that politicians made and how their decisions impacted the post war world particularly Czechoslovakia as Patton’s Third Army stood outside Prague and waited to allow the Soviet army march in. This along with Poland plight reflects Roosevelt, Truman, and Eisenhower’s desire not to allow political implications affect how they decided to deploy American soldiers. Olson’s new book is an excellent read, a combination of straight narrative, interpretive, and empathetic history that all can enjoy. A few days ago I saw the film “Dunkirk” which attempted to convey the importance of the rescue of 338,000 men off the coast of France across the English Channel in late May and early June, 1940. The film does an excellent job presenting the plight of British and French troops as they lined up on the beaches to be extracted from the threat of German tanks, artillery, soldiers and bombers. What the historian, Walter Lord refers to in his classic study, THE MIRACLE OF DUNKIRK is a series of crises that allowed many components of British society to take part in the rescue of these men. Though originally published in 1982, Lord’s book has lost none of its punch and command of events that led to the evacuation, the evacuation itself, and its implication for the overall war effort. When reading Lord’s work today it still reflects a historian who had mastered the craft of narrative history and allowed the reader to take part in the action being described. The approach taken in the film is reflected in Lord’s work. It presents three important elements of the rescue; the outnumbered brave British pilots who met and tried to neutralize German Stukas, the employment of anything that would float represented by a family fishing boat, and the men stuck on the French beaches trying to survive German bombing. All aspects help capture the bravery, spirit, audacity of the British people that allowed them to save their army – an achievement that would go a long way in finally defeating the Nazis five years later. Having seen the film I decided to read Lord’s highly readable study of what occurred. 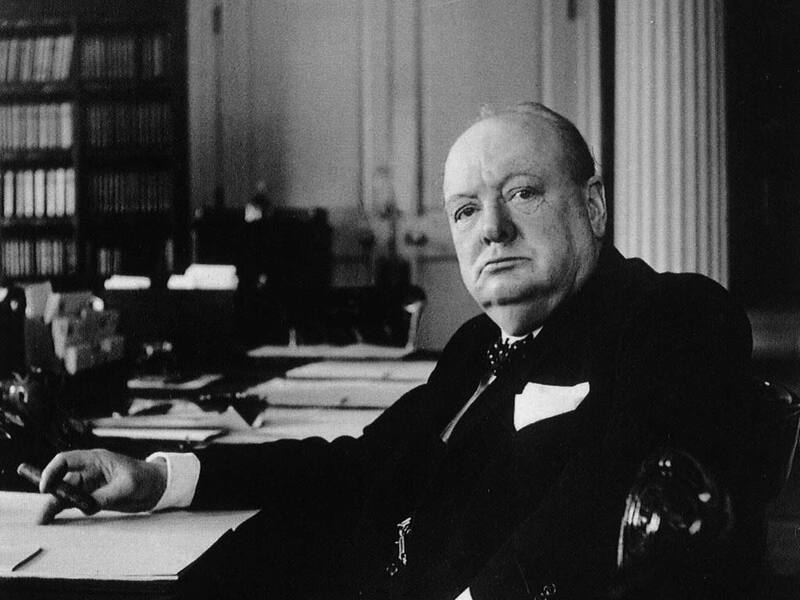 Events in France shocked many, particularly Prime Minister Winston Churchill who was informed early on the morning of May 15, 1940 by French Premier Paul Reynaud that the French had been defeated after the Germans surprised them by attacking through the supposedly impenetrable Ardennes Forest. German Panzer Divisions poured through the French countryside trapping the British Expeditionary Force (BEF), two French armies, and all Belgium soldiers, nearly one million men pinned against the sea at Flanders. Lord does a superb job describing British resiliency as they tried to block the German advance at the same time they instituted a massive withdrawal to save the BEF. Lord points out French arrogance in dealing with the British, how quickly their troops and leadership became demoralized, and how the British were confronted with French “invisibleness” as they tried to cope with the German advance. British policy seemed to always have to take in to account the French state of mind. Once the French had given up, the BEF command had to prod them to hold certain areas so an escape route could be protected. Further, the French felt they were not being treated equally once the evacuation began to gather steam. 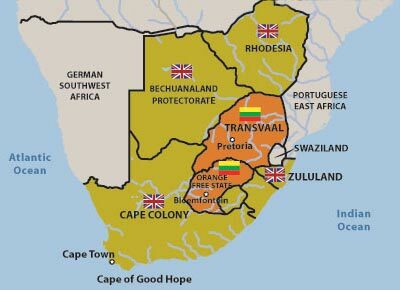 They wanted the use of British ships and equal extraction of soldiers. Churchill was very cognizant of French sensitivities as he was afraid of losing an ally at a time when things were becoming desperate. Once the Germans realized what was occurring as the BEF and its allies began retreating north they worked to close off any access to French ports, be it Boulogne, Calais, and Dunkirk. The Germans were spreads very thin and were stunned the allies did not attack their flanks as they raced for the beaches. Luftwaffe head, Herman Goring grew jealous of Heinz Guderian’s Panzer unit and pleaded with Hitler to halt the German advance and allow his air force to complete the job of wiping out the BEF. Hitler was concerned about his armor and viewed Paris as his main target so he went along with Goring. This decision was very telling as it gave the BEF three days to organize its retreat before Hitler changed his mind – probably creating the opportunity for the “miracle” at Dunkirk. Perhaps Lord’s best chapter, “Operation Dynamo” deals with how the Admiralty bureaucracy organized the diversified types of ships and crafts that would take part in the rescue of the BEF. On May 14, 1940 the BBC called for “all owners of self-propelled pleasure craft between 30 and 100 feet in length to send all their particulars to the Admiralty within fourteen days.” Lord provides intricate details how this miracle at sea was organized under the leadership of Vice Admiral Betrum Ramsay who was located deep in the White Cliffs of Dover. The result was a “strange fleet of ferries, hoppers, dredges, barges, coasters, and skoots.” Once Boulogne and Calais fell, Dunkirk was the only option. What sets Lord’s work a part from others is how he integrates the private stories and individual experiences of the soldiers and civilians who came to their rescue during the evacuation. The harrowing trip across the channel and back avoiding German mines and bombers, placing the reader with the heroic individuals Lord describes. 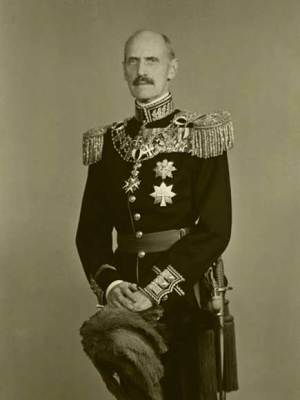 Lord presents a number of important personages in his narrative that include King Leopold III of Belgium who quickly surrendered to the Germans, General Bernard Montgomery who organized his troops to fill the gap in the BEF escape route, and General Gort (Viscount Lord) who was in charge of BEF at Dunkirk, among others. 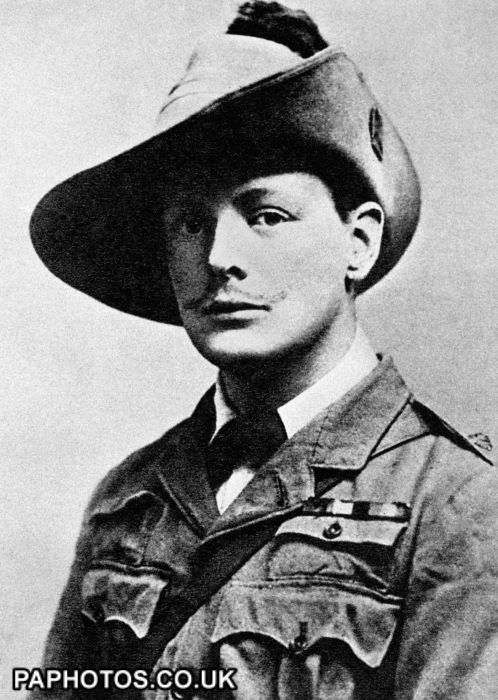 In addition, Lord has interviewed numerous survivors, civilians, and officers whose personal experiences helped create a fascinating narrative that began with a disorganized movement of troops onto the beaches, the need to create a pier to allow ships to pick the men up, and organizing the men into small units that would make for an efficient extraction. What resulted at times was “bewildered waiting” and trying to avoid being hit by German bombers. The British command also had to make important choices as a number of destroyers dispatched to evacuate men began to be sunk. 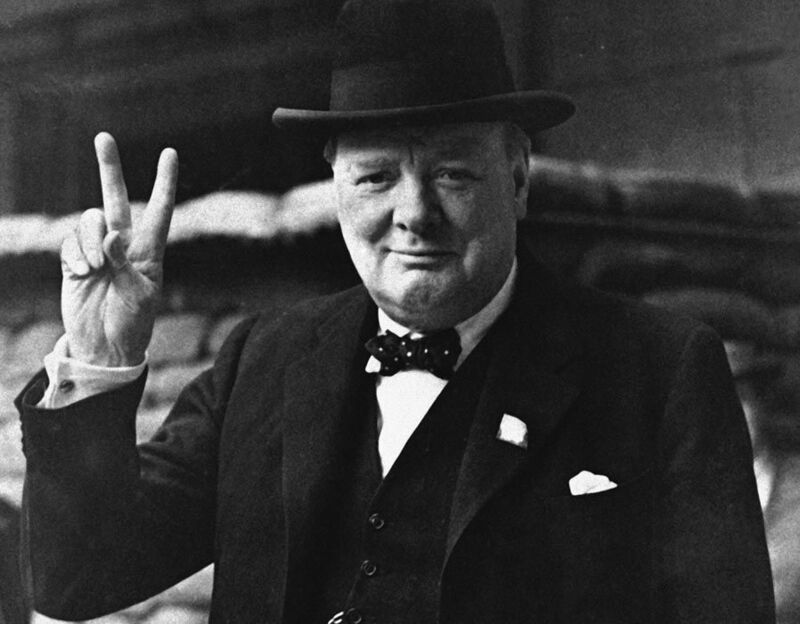 Churchill and company were concerned that the losses were too much in light of what they thought would be a long war. At one point a number of destroyers were withdrawn. What facilitated the evacuation was low cloud cover and smoke for a good part of the end of May, 1940. As the Admiralty withdrew the destroyers the void was filled by car ferry’s, fishing boats, open motor launches, barges, cabin cruisers, trawlers, and rusted scows – ships/boats of every conceivable type. By the end of May, it became a deluge of “little ships.” These craft were mostly unarmed and many were piloted by everyday civilians, a number of which were on their maiden voyage with little knowledge of nautical equipment. The ingenuity of the British was seen as troops cannibalized materials from wherever they could, be it partially sunken destroyers, damaged buildings etc. all to create a temporary pier or mole so rescue boats could come astride and extract as many men as possible. 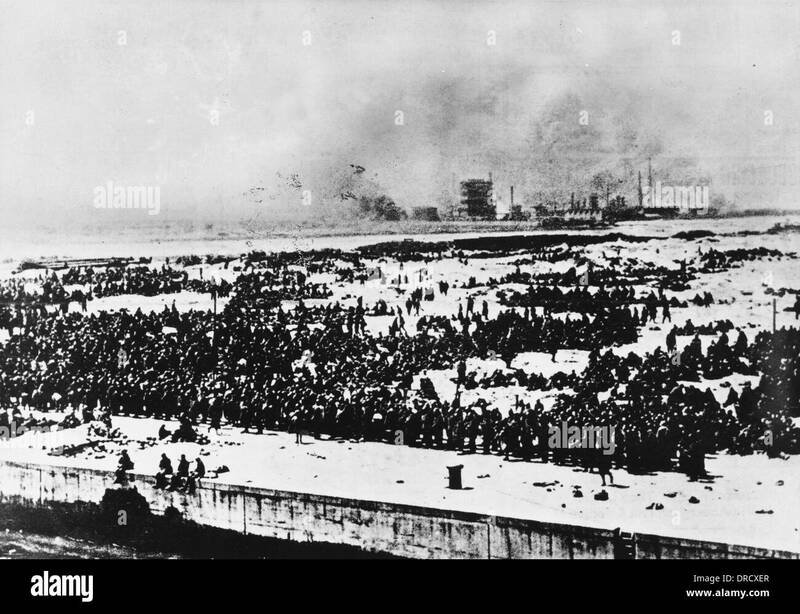 By the end of the evacuation 224,686 of the BEF and 123,095 French soldiers were evacuated. This would be a problem for Churchill for the remainder of the war as the French believed that the British did not do their utmost to save French soldiers. Lord also does a marvelous job detailing the intricate and frosty relationship between England and France, especially as the Germans began to turn their attention away from Dunkirk and moved their panzer divisions to conquer Paris. 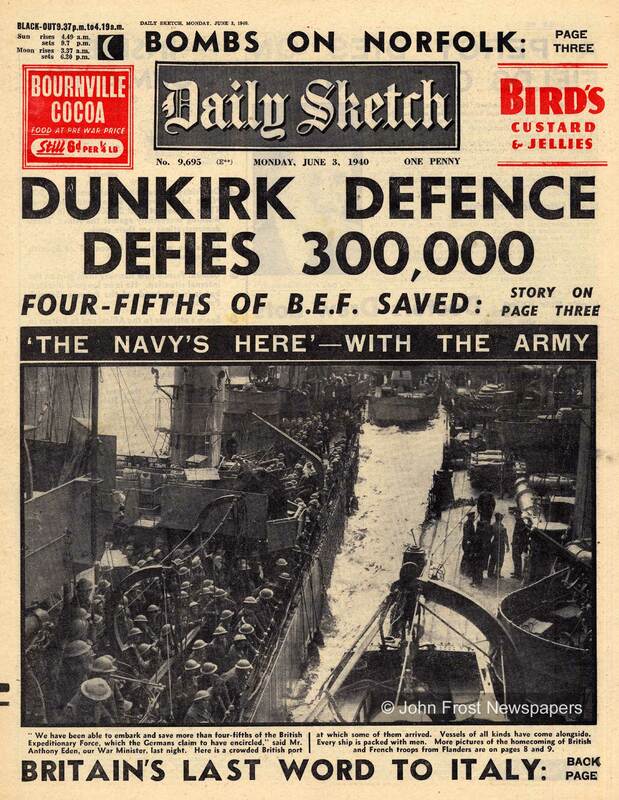 The significance of the evacuation lay in the large number of British troops that were saved. Guns and vehicles could be replaced, but not the only trained troops that Britain had left. It would form a nucleus of the great allied army that would win back the continent. Further, leaders such as Lt. General Alan Brook, Major-General Harold Alexander, and Major-General Bernard Montgomery “all cut their teeth at Dunkirk.” In addition, the evacuation electrified the British people and gave them a sense of purpose that the war previously lacked. It was an opportunity for ordinary citizens to feel they had made a direct contribution to the war effort. Lord has written a highly readable account of the rescue of allied forces from Dunkirk. An accomplishment many historians credit for saving Britain from being forced out of the war with Germany. Though written and researched over thirty five years ago it still stands as the best narrative of the rescue and provides numerous insights into the mindset of the hundreds of thousands who survived the Nazi onslaught in the late spring of 1940. 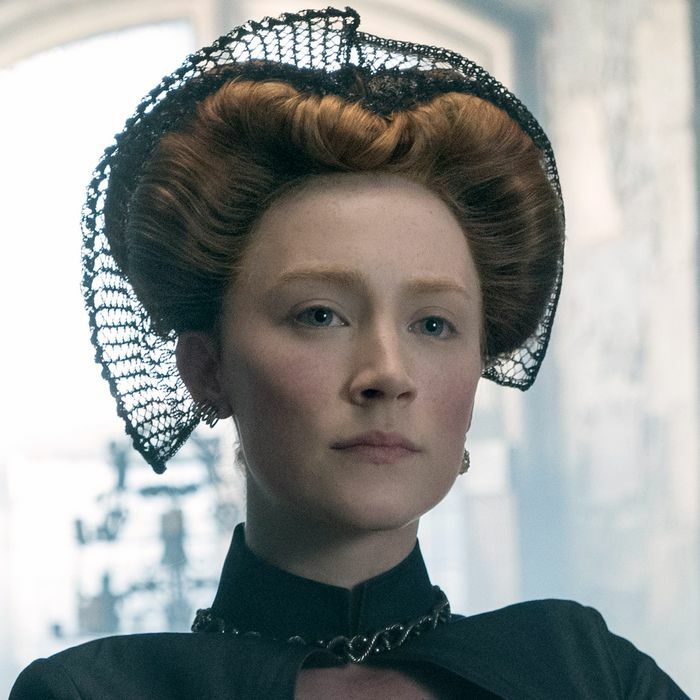 The current airing of PBS’ Masterpiece Theater of VICTORIA and its popularity has created great interest in the British monarch who ruled her kingdom and the world’s largest empire between her accession to the throne in 1837 and her death in 1901. The program is written by Daisy Goodwin who has recently published her novel VICTORIA a fictional account of the early years of Victoria’s reign. For a full and intimate biography Julia Baird has filled that void with VICTORIA: THE QUEEN which is an in depth study of the queen focusing on what it was like to be a female monarch in a world dominated by men. Baird takes a somewhat feminist approach to her subject and based on years of research and mastery of primary and secondary material, the reader will learn what it was like for the teenage girl to suddenly assume the throne in 1837, her views on Parliament, Prime Ministers, attitudes toward the poor, foreign policy ranging from the Crimean War to the Boer War, but also the effect of her reign on society and women in particular. The approach Baird takes is informative, well thought out, provides impeccable analysis, but at times she takes her intimate approach a bit too far. I understand the importance of Victoria’s multiple pregnancies that produced nine children, but I do not need to know the details of her menstrual cycle and her reproductive anatomy. Details about her life with Prince Alfred are fascinating, but at times, here too, she goes overboard. However, despite some flaws the book is beautifully written and an important contribution to the historiography of the Queen. Baird gives Victoria a great deal of credit but then she backtracks as she discusses the queen’s relationship with Lord Melbourne, who she leaned on for support in dealing with her mother, John Conroy, certain members of her family, Parliament, and policy decisions. Baird describes a young woman infatuated with an older man, who thankfully does not seem to take advantage of his positon. According to Baird, Victoria will eventually concede powers to Prince Albert in most major social, political, and foreign policy areas. 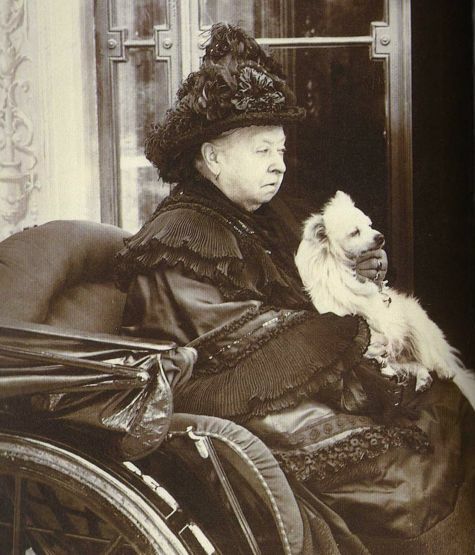 Granted, Victoria was pregnant a great deal of the time during her marriage to Albert, and suffered from postpartum depression and other ills that made her involvement in decision making less of an issue, but Baird herself points out the differences in approach between Victoria and Albert. The Prince was more of an intellectual than his spouse and was greatly interested in the problems of the poor and working classes. Albert was a cultured and well educated person who did not want to crush public dissent like Victoria and it appeared he wanted to bring about reform in order to lessen that dissent. 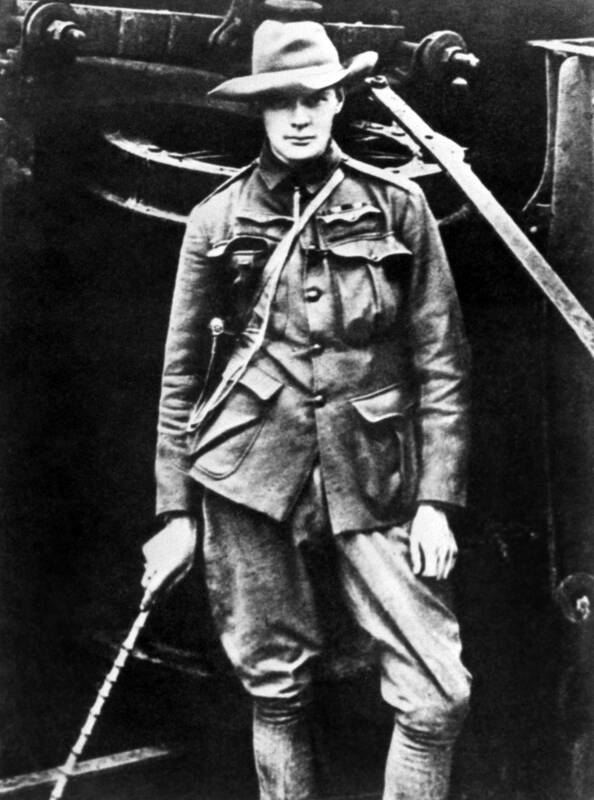 According to Baird, “the role of the monarchy under Albert’s leadership, then, was a forceful influence, which urged the government to exercise restraint in foreign policy and democratization, to erode the authority of the aristocracy and exert influence through a web of royal connections that spanned Europe in a network of carefully planned and delicate backdoor diplomacy.” Victoria on the other hand was not as empathetic toward her subjects. A case in point is her approach to the Irish famine where she started out criticizing tyrannical landlords, but once a few landlords that she knew were murdered, her sympathy for Irish tenant farmers waned. Baird argues that it was a stretch to blame Victoria for the famine, but there was a great deal she could have done to mitigate their effects. It is clear that from the time of her marriage to Prince Albert in 1839 until his death in 1861 England may have gone through an Albertine Age as Baird suggests, and it took until the Prince died for Victoria to seize the reigns and create the Victorian Age. For Victoria until Albert’s passing life was a balancing act; how to be a good mother, wife, and reign over her kingdom. Baird does her best to show the Queen as a loving and doting mother, but then in the next sentence she will point out that she was rarely involved in certain aspects of her children’s care. Victoria possessed a quiet stubbornness that forced many who opposed her wishes to underestimate her, particularly when she ruled by herself. 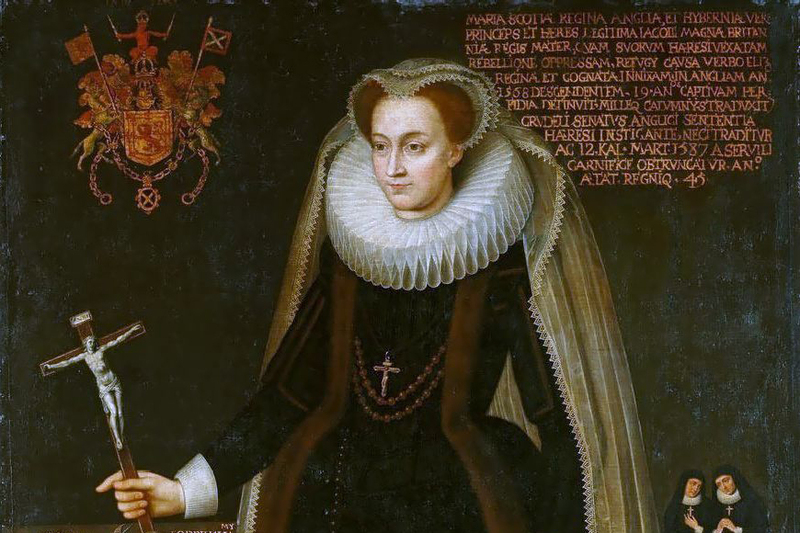 Lord Melbourne did school her well on how to be an effective Queen, and she learned from Albert certain sensibilities that a monarch needed to possess. Baird does an effective job dealing with Victoria’s views and impact on events. Her role in the Crimean War debate is discussed in full, her fears of revolution in 1848 and why the social upheaval throughout Europe did not cross the English Channel, her distaste for the Russians in the Eastern crisis that led to war and the Treaty of Berlin in 1878, and her opposition to Home Rule for the Irish. Further, Baird’s discussion and analysis of Victoria relationship with her Prime Ministers is top drawer particularly her negative relationship with Lord Palmerston when he was Foreign and Prime Minister, and her up and down relationships with certain Prime Ministers, particularly William Gladstone, Lord Derby and Lord Russell. Her relationship with Lord Salisbury was excellent but nothing compared to her relationship with Benjamin Disraeli as he was the only Prime Minister to realize that the lonely queen wanted to be “fettered, flattered, and adored.” As Victoria aged she moved on from her Whiggish liberalism under the influence of Melbourne to outright conservativism due to her close relationship with the Tory, Disraeli. The last twenty years of her reign Victoria, who never acted as an impartial monarch, became greatly involved in politics, especially when the man she loathed, William Gladstone had defeated Disraeli in parliamentary elections in 1881. It can be argued that 1861 was a watershed year for Europe and the world because of its impact on the United States and across Europe. It witnessed the outbreak of the Civil War in the United States, the supposed emancipation of serfs in Russia, and the death of Prince Albert. Her husband’s death became the greatest test for Victoria’s reign. She seemed to succumb to an extreme depression and many wondered if mental illness would overtake her as it did George III. Her depression would last for a number of years where she had doubts about how to proceed with policies and felt extremely alone. During that time a number of major events in Europe would draw the attention of the British Foreign Office. The Polish Revolt against Russia and the controversy over Schleswig-Holstein would lead to the Danish War between Denmark and Prussia. English influence in this 1863 crisis was marked and if Albert had been alive he might have influenced events more than his mourning widow. By the late 1860s it appeared that Victoria was emerging from her depressive state, and as she overcame her loss she would go on to be a strong monarch in her own right making a deep impact on her kingdom as well as Europe. The key individual in Victoria’s emergence from her widowed state was John Brown, a Scottish Highlander who had been Albert’s outdoor attendant at Balmoral who became her most intimate friend. Her children despised him and nicknamed him the “Queen’s Stallion.” There are many rumors and myths about their relationship that Baird addresses, whether they were lovers and what impact he may have had on policies, as one writer referred to him as “Rasputin with a kilt.” No matter what the truth may be, one thing is certain is that the Queen came to rely on him and he helped fill the void created by Albert’s death. In fact, Victoria would spend eighteen years in his company, almost as long as she spent with her beloved Albert. Baird spends a great deal of time discussing royal genealogy and its impact on Victoria’s life and policy decisions. Using the marriage of her children for diplomatic need had been a tradition of European and English monarchies for centuries, but in her case the result can be considered quite disastrous as her lineage connects her to Wilhelm II of Germany, and Nicholas II of Russia who both bear a great deal of the blame for the outbreak of World War I and the carnage that followed. 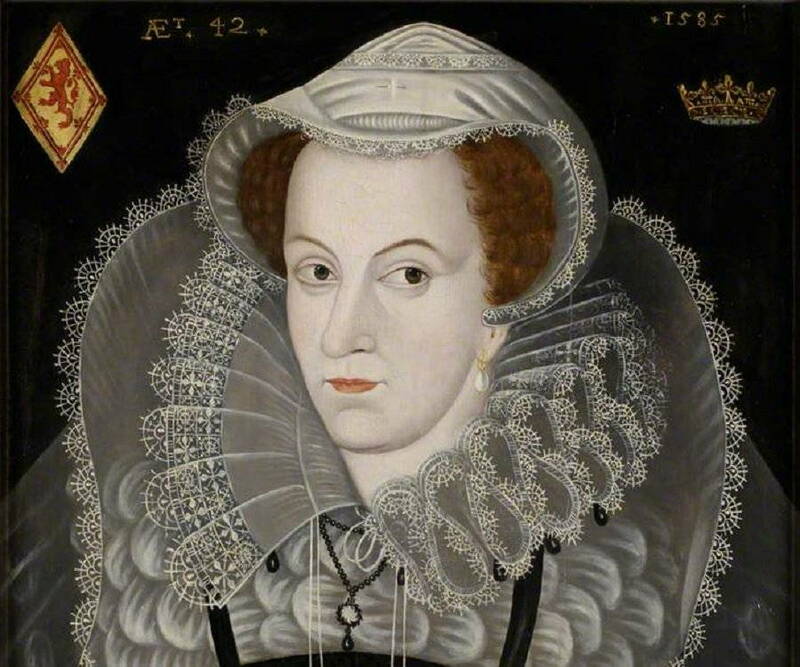 Her children were placed throughout Europe as a means of extending English influence, but in reality that goal was rarely met. There is no doubt that no one person dominated her kingdom the way Victoria had, particularly from the 1870s onward as she applied the political lessons learned over the decades, especially working in the shadows to achieve her goals while her subjects thought she was romping in Scotland as any monarch would do. Baird creates an absorbing picture of a fascinating life. Despite a few flaws Baird should be commended for producing the most comprehensive analysis of Victoria and her importance in history, and it should remain the most important secondary source on Victoria’s life for years to come. Last July I found myself looking out from the white cliffs of Dover peering across the English Channel at France. After touring the tunnel caves carved out during Napoleon’s time and put to use by the British during World War II I began to wonder what it was like for the soldiers who were not rescued by the “mythical British flotilla” that saved so many at Dunkirk. While browsing in the main bookstore for the historical replication of the tunnel caves I came across Sean Longden’s DUNKIRK: THE MEN THEY LEFT BEHIND. What unfolds in Longden’s narrative is the horrific experience of the 40,000 British soldiers who were not rescued as the Germans marched through France and threatened the channel coast. 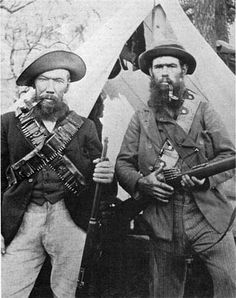 These were the men who performed a rearguard action that allowed the hundreds of thousands of British soldiers to escape. The story of the rearguard soldiers who would spend five years as prisoners of war was not publicized by the British government as they sought to translate the Dunkirk evacuation not as a defeat, but as a victory. Therefore, the plight of the POWs was kept hidden from the British public for years. According to the author it took until the publication of Richard Collier’s THE SANDS OF DUNKIRK for the true story of the evacuation to be told. Longden has resurrected the story of these men through numerous personal interviews and mining the vast historical documentation. What emerges is the application of the survivor’s descriptions and emotions from their experiences interspersed through a well written and extremely thoughtful narrative. Longden begins the book with a history of the Dunkirk evacuation and explores how the British found themselves in such dire straits in May, 1940. The author describes the lack of training given to recruits and the equipment that was World War I vintage. The German advance through Belgium and France that fostered thousands of refugees is described as is allied military incompetence. The resulting carnage of the British retreat is described with stunning images. Once the order to fall back was given a rearguard action was instituted to allow as many British soldiers as possible to escape across the channel. The British government highlighted the evacuation and purposely forgot about the men who were left behind. Many of these men felt abandoned, though there were other rescue attempts that did not come to light until sixty years later. The plight of the POWs continued over the next five years of captivity. The narrative employs the words of the survivors to recreate their experiences. The Germans were totally unprepared to house the massive influx of POWs, particularly as it related to their medical condition. What resulted were years of depravity, continued malnutrition, dysentery, gastro-intestinal issues, lice and a host of other problems. Emotions were shattered as they witnessed the shootings of their comrades and the total disregard for humanity exhibited by their German guards. The lives of the prisoners “revolved around forced labor, inadequate food, disease, violence and death.” (456) Not only does the author describe daily life but he accurately explores the physical, and especially the mental state of the prisoners during captivity. After five years in POW camps the prisoners were finally liberated in April, 1945. The liberation created a confusing situation as to whom to surrender, which direction they should follow, how to gain enough sustenance to make their way west, and how to deal with their own physical condition. The earlier march east was endured by heat; however the march west was so cold that frostbite was a regular occurrence. As they left the camps they continued to witness the horrors of war. Soviet vengeance against the Germans was ever present, contact with Holocaust survivors, performing what seemed to be barbaric medical procedures on their “mates” to save them, starvation leading to eating and drinking the foulest things just to survive, are all difficult to imagine. 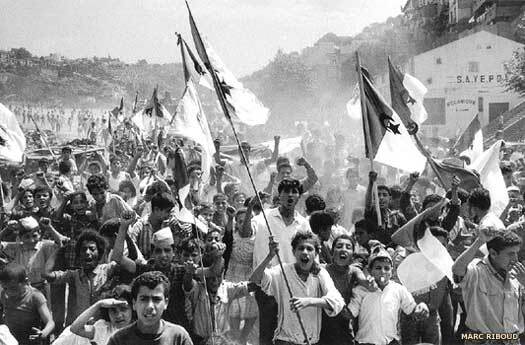 The stories of liberation are heartwarming, but repatriation and homecoming could not possibly go smoothly based on the condition of the men and what they had experienced. Post traumatic stress disorder was very common, but in 1945 it was not a diagnostic category with recommended treatment. Longden correctly points out that the mindset of the returning soldiers centered on the failures of the British army in France in 1940 as they felt they were trained as a 1918 force to go up against a mechanized German machine. “They had witnessed the superiority, in both numbers and quality, of German tanks and aircraft….and seen allied armies outmaneuvered by advancing Germans…..they had been let down by a government that had sent them to France in 1940 ill-prepared for modern warfare.” (525-526) “As the prisoners returned home there was a general lack of understanding of what they had endured…..Whether it was the soldiers surrounded at St. Valery, the men who received disabling wounds during battles, or the men who had been plucked from the sea following the sinking of the Lancastria, the plight of those left behind at Dunkirk seemed like a footnote to history.” (528) The story of the miracle of Dunkirk seems to have passed these men by and they felt it upon their return home and for many years to follow. What separates Longden’s book from others is the use of the words of the captives describing their emotions and what had they had experienced. It leads to a powerful narrative for anyone interested in reading a work of history that sets the records straight.